December 6, 2018 Blackbaud, Inc.
Nonprofits and social good organizations rely on volunteerism, making volunteers are one of the most important assets that an organization has. Today’s guest emphasizes the importance of volunteers and talks about how organizations can best manage and leverage those valued assets. 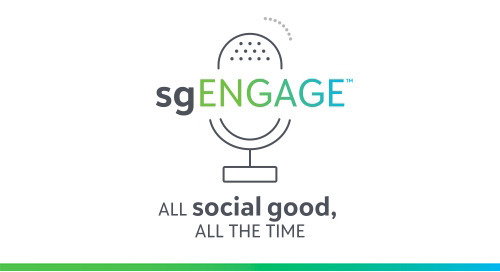 In today’s episode, recorded at bbcon 2018, Points of Light CEO Natalye Paquin talks about how the critical role that volunteers and volunteerism can have on advancing social good and achieving the U.N. Sustainable Development Goals. Natalye also talks about the role of technology in facilitating and tracking the impact of volunteers, and how Points of Light and Blackbaud are collaborating to advance data, insights and measurement for volunteerism.